One thing that may be holding it back from overtaking completely, though, is how physical preferences have changed since its inception, with the movement towards wireless audio being one of the most popular changes of modern hi-fi. Luckily, turntables are slowly integrating Bluetooth into themselves and one such big name getting involved is TEAC and their new TN180BT… but how does it fair? 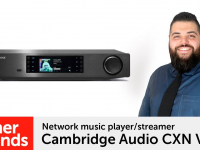 Pretty well actually, as the TN180BT takes the already excellent TN100’s robust, yet affordable design and brings it squarely into the 21st century. With its built-in Bluetooth transmitter you can now stream directly from your turntable to any Bluetooth compatible products you have, such as Bluetooth headphones or Bluetooth speakers – making the day-to-day occurrence of loose hanging wires a thing of the past, and allowing you to truly be free in the placement of your equipment. Of course, there is the caveat of the turntable still needing direct mains power and the Bluetooth having a limit of around 10 metres, but in my experience 10 metres is more than enough space to get a perfect set up. Changing between the turntable’s three RPM settings is as easy as flipping a switch. 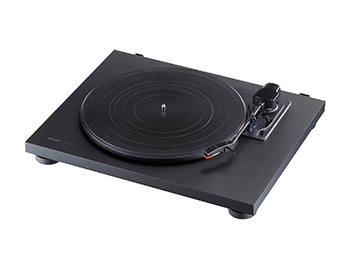 Design-wise, apart from the aforementioned Bluetooth, the TN180BT features a three speed belt driven platter capable of 33/45/78 RPM with an auto return mechanic for when the record is done. It features a built-in phono stage so there’s no need for a pre-amp (unless you want to use your own, of course) and a high-density MDF cabinet for improved resonance reduction. 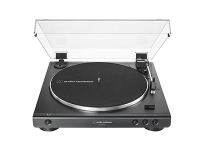 Lastly, even though this turntable is primarily designed for Bluetooth output, it can of course be physically connected to any hi-fi via twin phono connections. 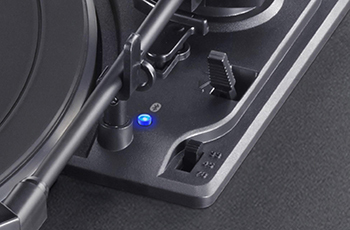 The set-up process from unboxing to listening takes a very short amount of time, as the stylus is already connected and the counter weight is already set as well so the only thing you really need to do is attach the belt, put on the platter and get ready to rock. 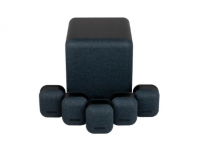 On top of this, Bluetooth is supremely easy to set up only requiring you to press the pairing buttons on both devices and let the magic of wireless connection do everything for you. The sound quality the turntable produces is perfectly fine, but if you do want to improve it then I would suggest spoiling yourself and picking up a slightly better cartridge such as an Ortofon or higher-end Audio Technica, having said that though I found it perfectly decent sound when listening to some “Dual Core” and connected via Bluetooth to our LG WK7 wireless speaker, so changing the stylus is not a necessity. In my opinion this is a solid turntable and a perfect foray into the world of vinyl if you’re looking for something that blends the old and new aspects of hi-fi without a giant price tag on it. If you want any advice on this or any other hi-fi products, don’t hesitate to call or visit your local Richer Sounds store. 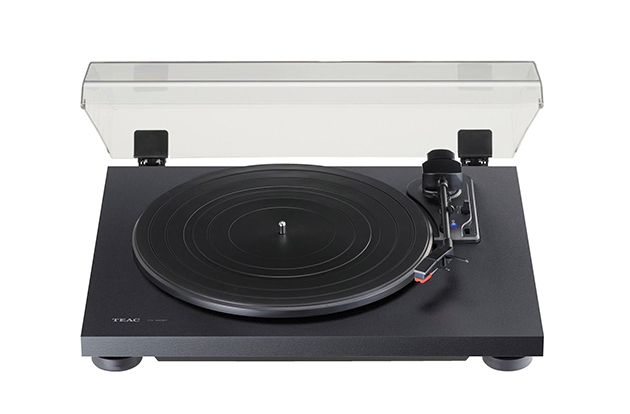 Click here to find out more about the TN180BT Bluetooth turntable.